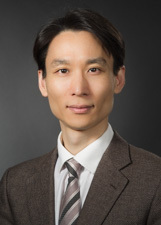 Sung Chul (Sean) Park, MD, is a clinician-scientist specializing in glaucoma, cataract, anterior segment disorders, minimally invasive glaucoma/cataract surgery, ocular imaging, perimetry and eye disease screening. He pioneered the new field of three-dimensional high-resolution imaging and analysis of the optic nerve head in human glaucoma, discovering a new set of pathogenic mechanisms of the development and progression of glaucoma. He also elucidated the risk factors and progression pattern of central visual field loss in glaucoma and revealed that patients with central visual field loss would benefit from visual field tests with centrally condensed test points, broadening ophthalmologists understanding in this field and improving patient care. He has more than 40 peer-reviewed articles mostly as the first or corresponding author in top ophthalmology journals including Ophthalmology, Investigative Ophthalmology and Visual Science (IOVS), and JAMA Ophthalmology, and has written 6 book chapters. He has given more than 160 original presentations and invited lectures in the U.S., Germany, Japan, Australia, France, Netherlands, Hong Kong, China, India, Turkey, South Korea, Saudi Arabia and United Arab Emirates. He is an expert reviewer for 10 top peer-reviewed journals including Ophthalmology, IOVS, and JAMA Ophthalmology. He has been honored with more than 13 national or international awards and scholarships, including the American Academy of Ophthalmology Achievement Award, American Glaucoma Society Young Clinician Scientist Award, American Glaucoma Society MAPS Award, Empire Clinical Research Investigator Program Fellowship of New York State, Eye Bank of New York Research Grant, New York Glaucoma Research Institute Grants, Travel Grants at the Annual Meetings of Association for Research in Vision and Ophthalmology (ARVO) and at the World Glaucoma Congress, and Best Scientific Poster Award at the Annual Meeting of American Academy of Ophthalmology. After finishing his clinical and research glaucoma fellowships, Dr. Park joined the New York Eye and Ear Infirmary s faculty in 2011, where he served as the Director of Glaucoma Clinic and the Director of Moise and Chella Safra Advanced Ocular Imaging Laboratory. He relocated to the Manhattan Eye, Ear and Throat Hospital in 2015. He is actively working as a member of 9 professional societies including American Glaucoma Society, World Glaucoma Association Associate Advisory Board, ARVO, and American Academy of Ophthalmology. He is also serving as an organizer of international academic meetings including the World Ophthalmology Congress, Asia Pacific Academy of Ophthalmology Congress, and Annual Glaucoma Foundation Optic Nerve Rescue and Restoration Think Tank. "Dr. Park was professional but he is not my normal eye doctor." "The visit was too brief. Never discussed the test I took. Perhaps the care provider could ask the question, "Do you have any questions you would like to ask me?"" "Dr. Park is a great doctor"
"Dr. Park is excellent - fabulous doctor who really cares about his patients. He is very warm & considerate. " "I was referred to Dr.Park by my long-time ophthalmologist. I couldn't be more satisfied with this decision & the care Dr. Park has given me." "Dr. Sean Park is a brilliant doctor and a caring physician. I am a nervous person, not really an easy patient, but Dr. Park informs clearly of what is going on every step of the way. He is a realist, and I have the utmost confidence in him." "I'm concerned that I won't find another provider as skillful and thoughtful with such a gracious manner as Dr. Park. I will miss him when I move away from the city." "Dr. Park was recommended to me by a good friend of mine that he was seeing and having multiple eye problems. He spoke of him highly and although I'd had several previous eye specialists I decided like 3-4 years ago to switch doctors and see him. I don't regret that one bit and next month and soon thereafter I'll have him do my cataract surgeries." "I am extremely satisfied with the care that I receive from Dr. Park and his staff." "Dr. Park is understanding and shows concern & care." "My doctor, Dr. Arkady Selenow, said that Dr. Park was one of the best in the world. Based on my 4 appointments with Dr. Park - including the 2 laser treatments - I can understand why he made that statement." "Dr. Park saved my eyesight three years ago and has been vigililant in my care ever since. He is a brilliant and very caring doctor. You are very lucky to have him on your staff." "Dr. Park very through. " "I feel Dr. Park is the best!" "Dr Park is a very patient physician." "Dr. Park is an excellent and dedicated doctor." "Couldn't be in better hands." "I am already recommended Dr. Sung to others"
"Dr. Park is awesome! Very compassionate"
"I am very pleased by Dr. Park and his care and professional abilities." "I am an OD so I know a good MD when I see him." "Already recommended him to friends,one of whom had surgery with him!!" "Dr. Park is a a brilliant Dr and very caring too." "Dr. Park is a FANTASTIC doctor! He saved my eye sight (pressure was 56 in both eyes when he initially saw me 2 1/2 years ago.) Northwell Health is lucky to have him!" "Yes, I will visit this provider again and I recommend him." "Dr. Parks is an asset. He is very thorough and exhibits genuine concern for the patient. I enjoy and look forward to my scheduled visits." "Gives you the opportunity to speak fully about your feelings and hopes." "really, no problems. MD was as usual polite and answered all my ?'s." "I have never had a doctor as compassionate as De. Park.he makes it very clear how much he cares about the health of each patient"
"dr. Park is the BEST dr. I've ever gone to. Very competent, very kind, good results with my SLT." "Dr. Park was very careful with my medical exams. While checking my SPECTRALIS Tracking Laser Tomography, he noticed that the parameters used were different from last time. He instructed his staff to re-perform the test for me so that he could get an accurate comparison. Very professional! And the staff who did the re-examination also were very good: she apologized to me for having me spent extra time at the office." "I have already recommended Dr. Park to several people"
"Highly professional, polite, excellent doctor." "Dr. Park is an exceedingly professional physician, very informative & clear. I trust that I am getting excellent care from him each time he exams me. VERY VERY pleased." "the best dr. I could ever had thanks a lot dr. Park." "I was impressed with Dr. Park's ability to immediately diagnose the reason I was experiencing blurred vision, during my first meeting with him. The doctor that removed the cataract, was unable to detect the problem after many visits [1 1/2 years]. He referred me to a specialist, who, for another year, did not see the membrane growing behind the implanted lens. I was very pleased with Dr. Park." "Dr.Park Sung Chul, the best doctor he care about you, he explain carefully about your conditions your need your concern everything the you need. Excellent Dr. The best Thank you Dr. Park." "I will always recommend Dr. Park to people that I know -"
"My mind was put at ease after visit." "Park excellent dr. would recommend his service to my friends." "Dr. Park treats me with kindness and understanding. In addition of being a good ophthalmologist he is a very nice and gentle person. " "I think Dr. Park is an exceptional doctor. He explained everything clearly and gave me the right amount of confidence. I liked his clarity, his intelligence, and his pragmatism. He is a very caring physician." "I already recommended Dr. Park to a friend who then had cataract surgery under his care...and was quite impressed and satisfied." "Dr. Park Is the Best doctor ." "Dr. Park is wonderful learned, polite sociable and more." "Dr. Park sets a standard for the professional. He is caring, professional, extremely knowledgeable, and truly inspires confidence. He takes the time and shows the concern to carefully explain all relevant issues, and the rationale for the course of treatment. Moreover, he is incredibly interested in questions and your comfort with the diagnosis and recommended treatment." "Dr.Park performed cataract surgery on my right eye. It was the first major surgery I've ever had. I have total confidence in Dr. Park. I will be very happy to entrust him with the other eye." "dr. park is an excellent ophthalmologist; he explained condition, procedures, treatment to great length." "I already recommended to my good friends and co-workers & my church members." "This was my first visit with Dr. Park and I was impressed by his caring attitude and respect for my concerns." "My experiences with Dr. Sean Park have been exceptional." "Dr. Park is a wonderful person, he explain very clear." "Dr Park is an excellent doctor and I would recommend him to anyone." "I guess you can tell I like Dr.l Park." "The outcome of my laser surgery in both eyes was actually much better than I had anticipated. My vision has improved significantly. I am grateful to Dr. Park." "Dr. Park is not only a great physician and scientist but he is a wonderful caring person as well." "Since my tests were good, the doctor only spent about 10 minutes with me. No need for more time." "I am very pleased with the care I get from Dr. Park." "Wonderful, caring, compassionate doctor who shows exemplary curtesy and respect for both the patient and his caregiver." "Dr. Park treated me in a dignified polite and professional manner. Dr. Park is knowledgeable and gentle, making the patient feel comfortable." "Very confident in Dr. Park's skills." "The care givers were lovely courteous and pleasant." "All care givers gave me excellent help and attention." "Dr. Park called me at home that evening to follow up on extra care I should take - very impressed." "Dr. is very good. #9. Very high."